As observed in the healthcare trend today, there is a growing number of clients who enroll themselves in home health care services. Agencies have hired thousands of staff to do almost a million home visits in the recent year. Knowing that hospitals and other facilities are readily available to render care for patients, most still prefer to receive almost the same type of services in their own homes. Patients’ View: Why Receive Care at Home? Most clients and their families believe that home health care is the best option when acquiring professional care services in the financial sense. It is more affordable than rehabilitation centers and hospitals, acquiring benefits that cannot be provided by other facilities. Faster and more holistic healing also takes place in home-settings, as the psychological effect of being in familiar and comfortable places contribute to faster recovery. The care rendered are also customized according to every patients’ needs. They are tailored to what is beneficial for them that fits right into their budget. Most of all, the care plan is also supplemented by the clients’ families and friends, whose connection and relationship are what they are accustomed to. The carers are professional trained medical staff who do not only offer personal care services but also create effective communication within the healthcare support system. We also encourage our clients to talk about any concerns and barriers regarding the care process, such as emotional and financial factors. Patients’ Perspective: Why Choose Home Healthcare Agencies? Receiving care from a medical staff from an agency will let you know that these people have been thoroughly checked from their previous work ethics and criminal background records. Unless you are willing to spare extra time and effort to do those tasks by yourself, you are basically welcoming a complete stranger into your home when you direct hire home health aides. Agencies are responsible for the staff that they send to the clients’ homes. They take on full responsibilities as they are considered their direct employer. This also provides hassle-free transaction with the staff’s employment needs such as payroll taxes, liability and insurance, and workers compensation. Clients need to focus on recovering while their families must focus on rendering support and care. The staff’s employment needs should not become a barrier or burden. 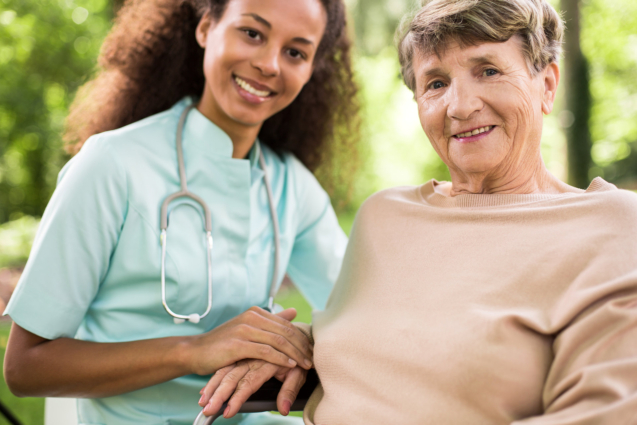 Homecare agencies are equipped with the latest license, knowledge, resources, and training to ensure their medical employees are competent in performing the tasks. In contrast, the clients’ and their families cannot be bothered with such responsibilities from a direct hire nurse, because they would obviously need carers who are efficient enough to render care as soon as it’s needed. No matter what the patients’ choices are, it is always the role of the carers to support and advise them on the most beneficial care plan. It would always help to inquire and learn more about their options. Contact Ontime Home Health Care Staffing Agency LLC or visit our website at www.ontimehhcsa.com. This entry was posted in Home Health Care Company and tagged Health Care, Home Healthcare Professionals, Staffing Agency. Bookmark the permalink.